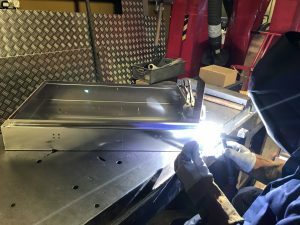 Being sheet metal workers with over 30 years experience in sub-contract manufacturing there’s no end to the projects we have been involved in. 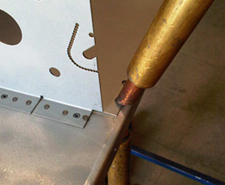 Based in Fareham in the south of England we offer our services across the UK. 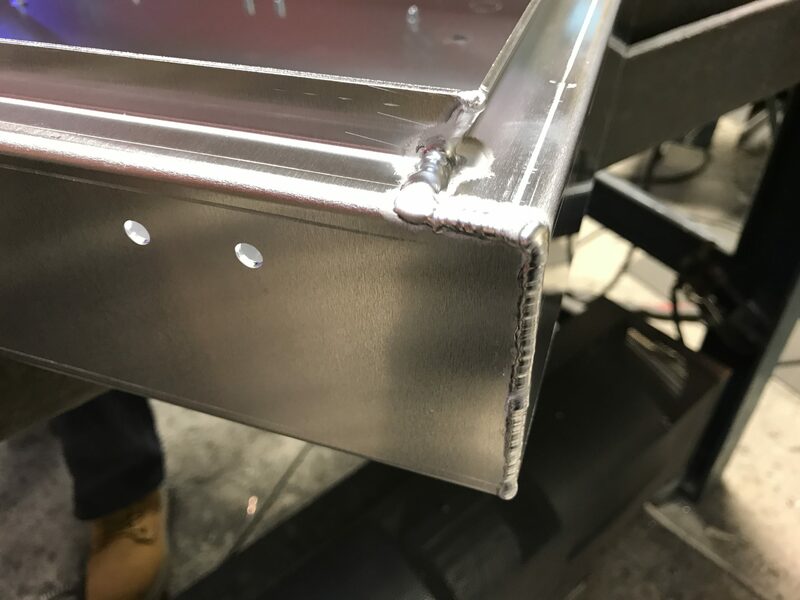 Family owned and with a solid reputation for the right service at the right price we are happy to help you with your sheet metal work. 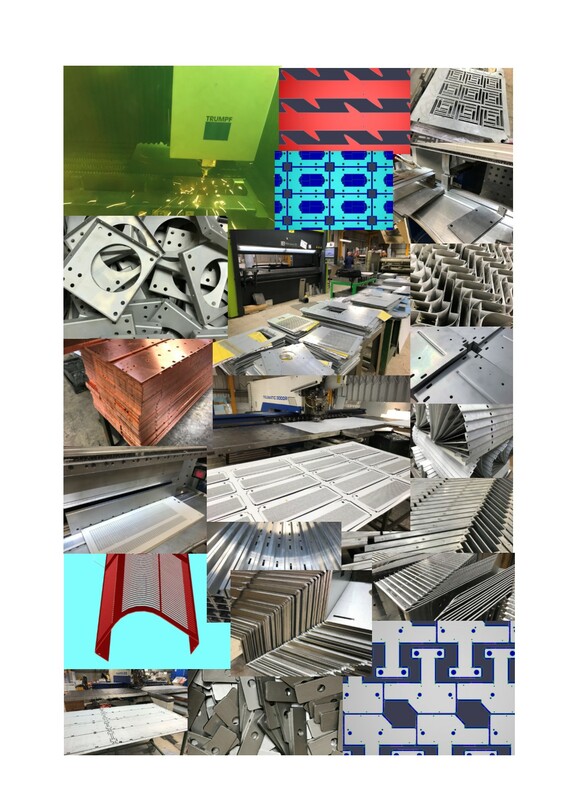 The images here illustrate the 3 main areas of manufacturing within our company, namely CNC punching, laser cutting and CNC bending. 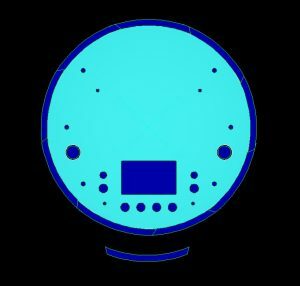 All 3 being controlled using computer programs and a high level of skill and experience. 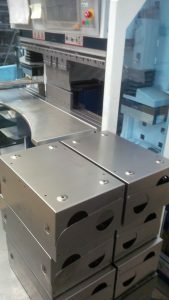 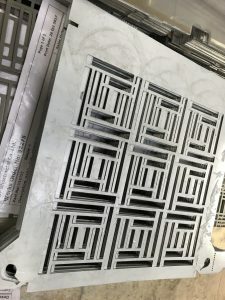 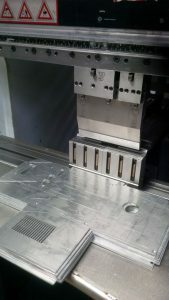 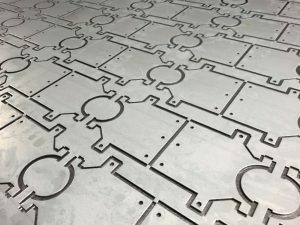 With a large library of standard tooling for the CNC punching and CNC bending there isn’t much we cannot tackle without the need for new tooling. 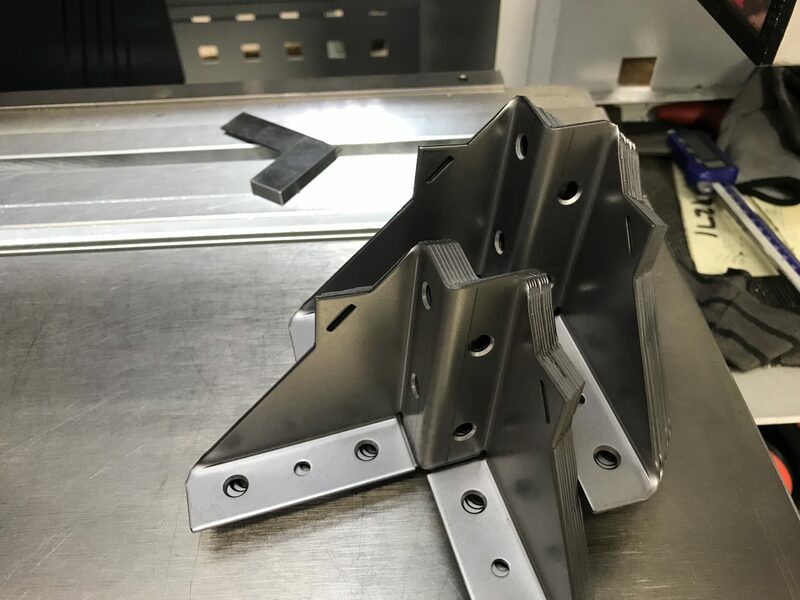 Using a wide range of sheet metal workers within our factory we have the ability not only to cut and fold sheet metal work but to form, press, weld and clean up in many different ways. 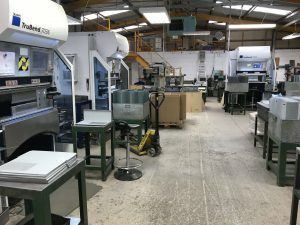 Working with our treatment and finishing suppliers we can offer the complete package. 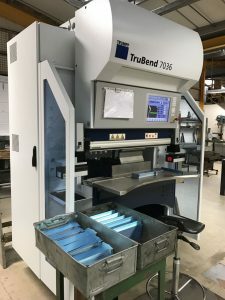 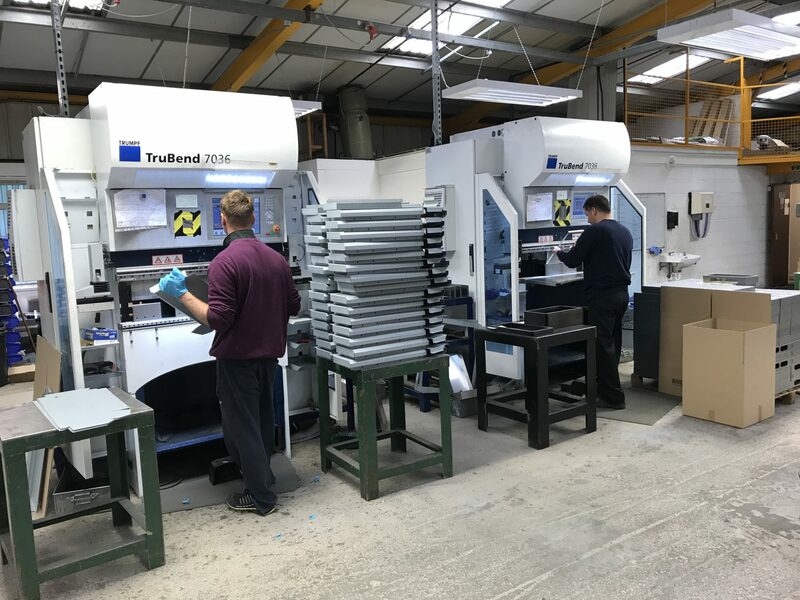 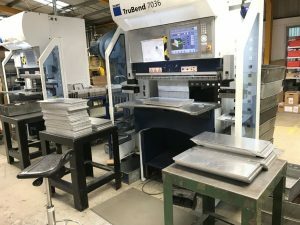 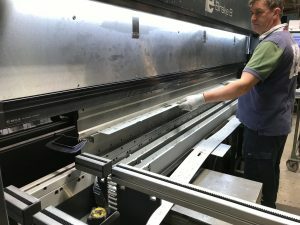 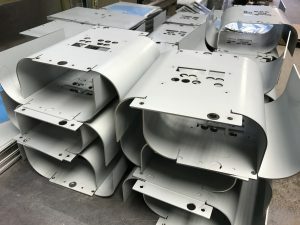 Constantly investing in new plant, tooling and software enables us to offer the latest techniques when it comes to sheet metal working. 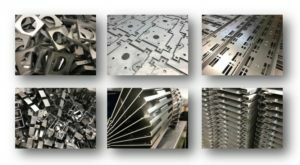 From having a fibre laser cutter to work on any ferrous or non-ferrous sheet metal or 7 CNC press brakes right up to 3M long. 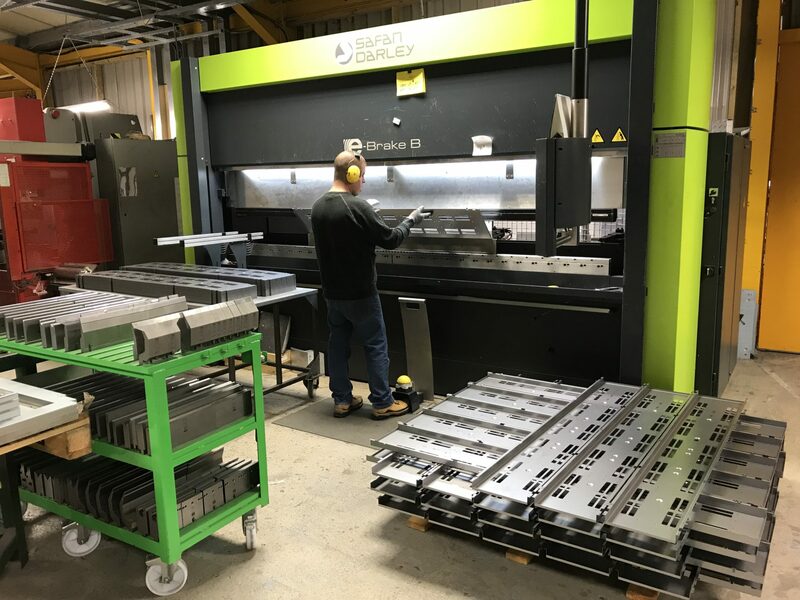 Sharing CNC press brake tooling across several machines enables us the flexibility to fold the same job simultaneously on 4 machines. 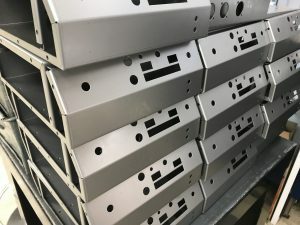 Perfect for that larger volume order or panic job that we all get from time to time. If you are looking for sheet metal brackets for your latest project look no further than V and F Sheet Metal. 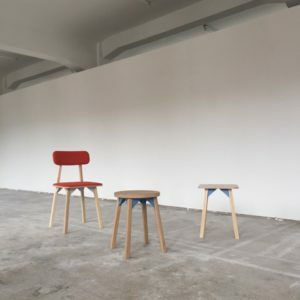 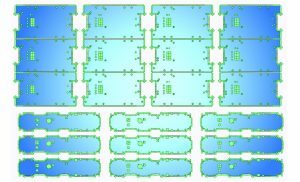 With the ability to take your basic design ideas right through to fully details 3D models we can support you with design advice for manufacturing and a range of cost estimates to suit the volume of work you will need. 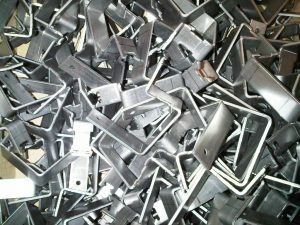 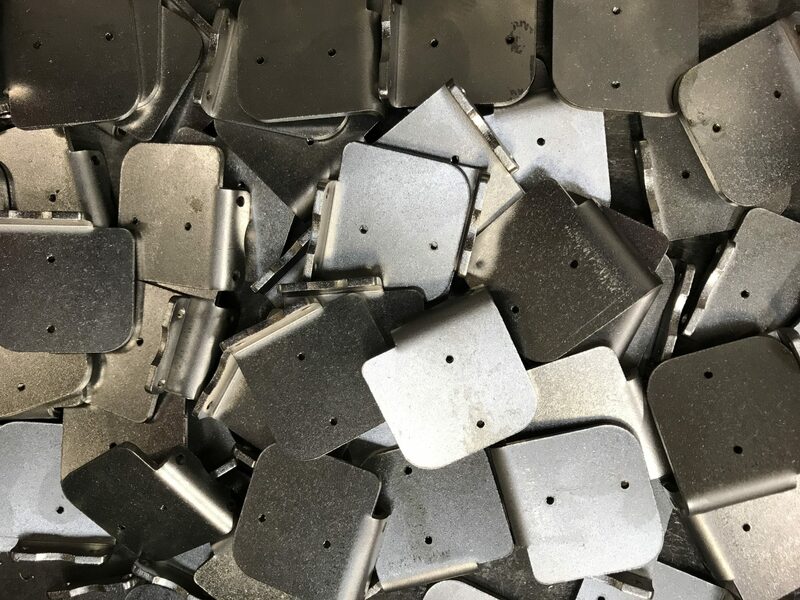 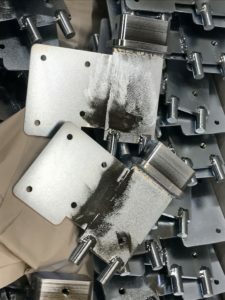 Often we have manufactured sheet metal brackets very similar to the parts you may want and can easily produce your work from stock materials and standard CNC tooling that we hold here in our factory in Fareham, Hampshire. 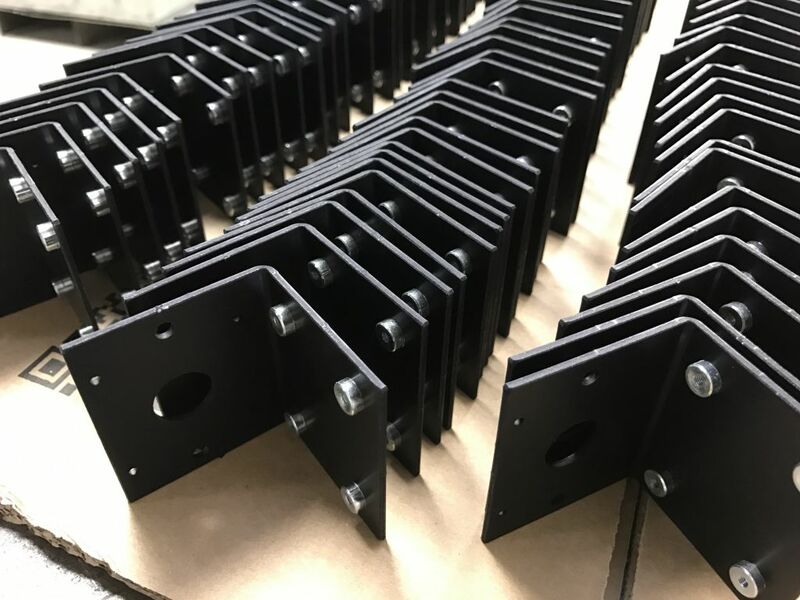 The s[ecific zintec sheet metal brackets shown here were produced by CNC punching and CNC bending in our factory in Fareham, Hampshire UK. 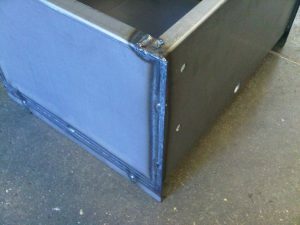 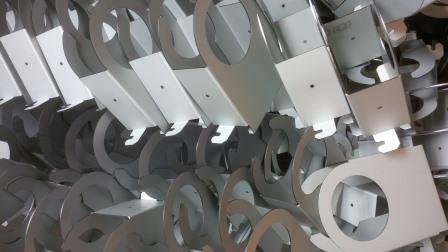 They are typical of the sheet metal work that we produce everyday for our customer base across the UK and into Europe. 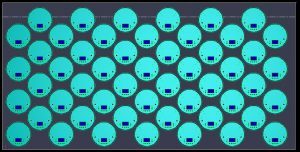 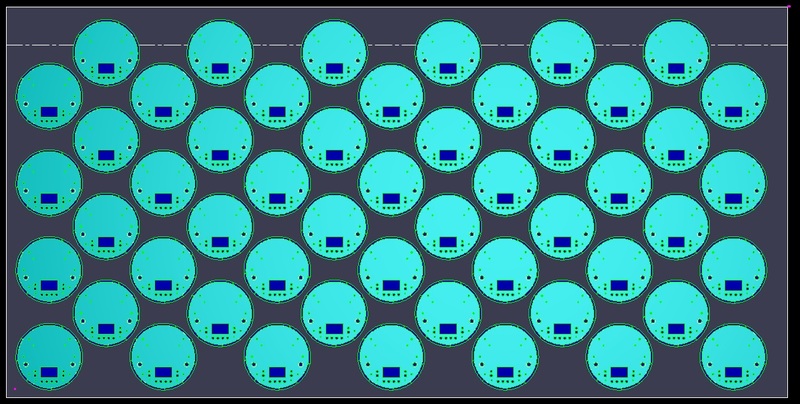 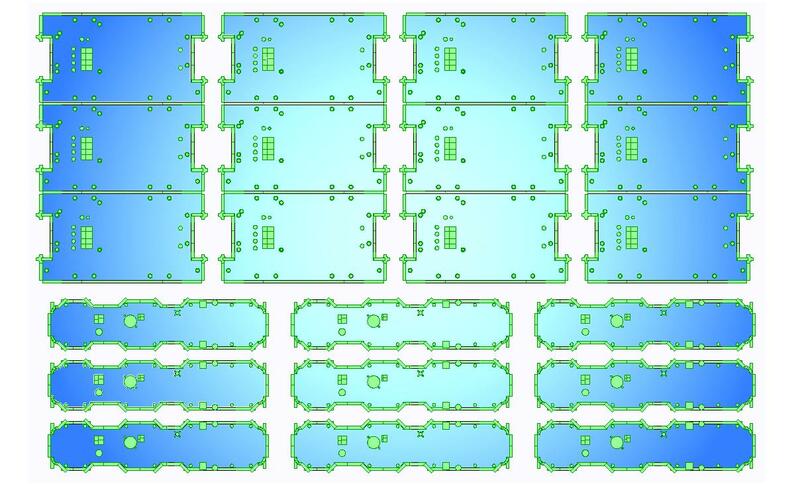 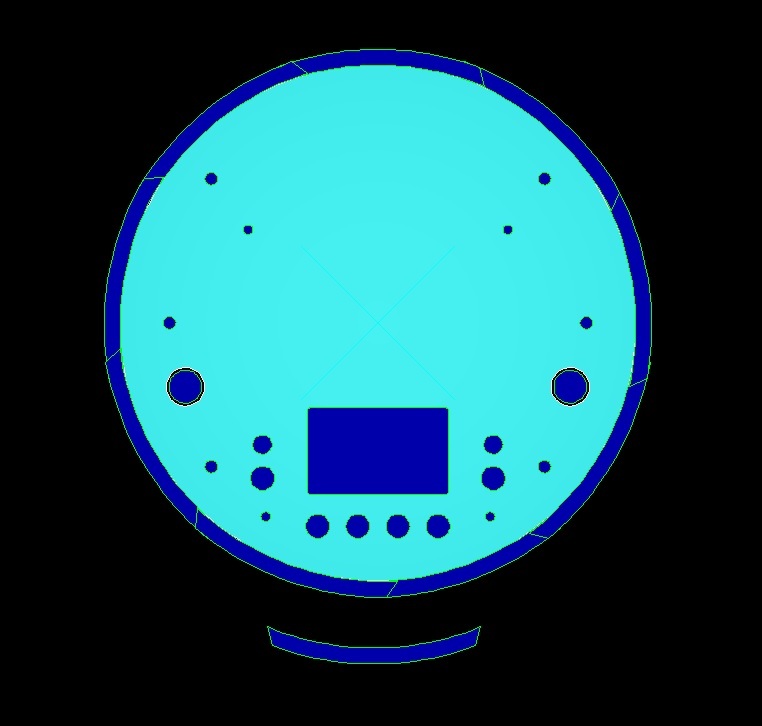 All sheet metal projects start by creating design data within our Radan CAD/CAM system and then this is used to power our CNC punching and CNC laser cutting machines. We are always looking for a new challenge when it comes to the manufacture of sheet metal brackets so if you want to talk through a design you are working on or have a specific purchasing need for sheet metal brackets please call us on 01489 577786 or send us your drawings to sales@vandf.co.uk and we will be happy to help you. 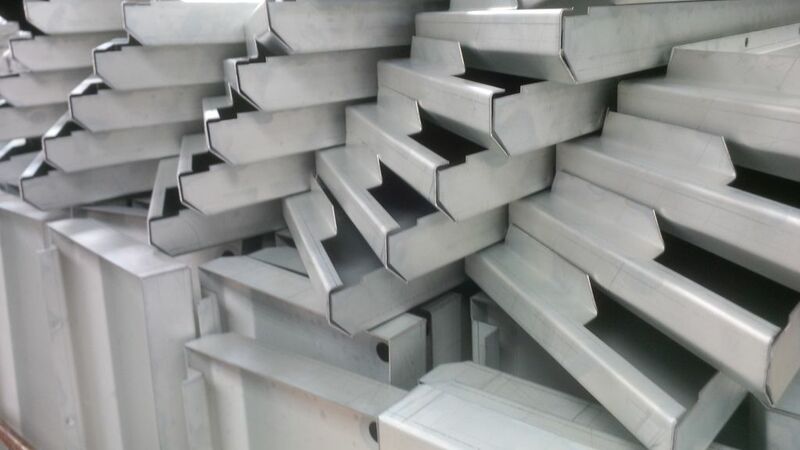 If you are looking to have brackets made from sheet metal then we have a wide range of manufacturing techniques that can help you achieve your goals. It might be that you need just a few sheet metal brackets to enable you to complete a special project. 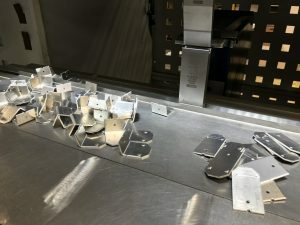 Perhaps a range of sheet metal brackets for a regular enclosure assembly that you fabricate or a large batch of small sheet metal brackets to support an electronics assembly. 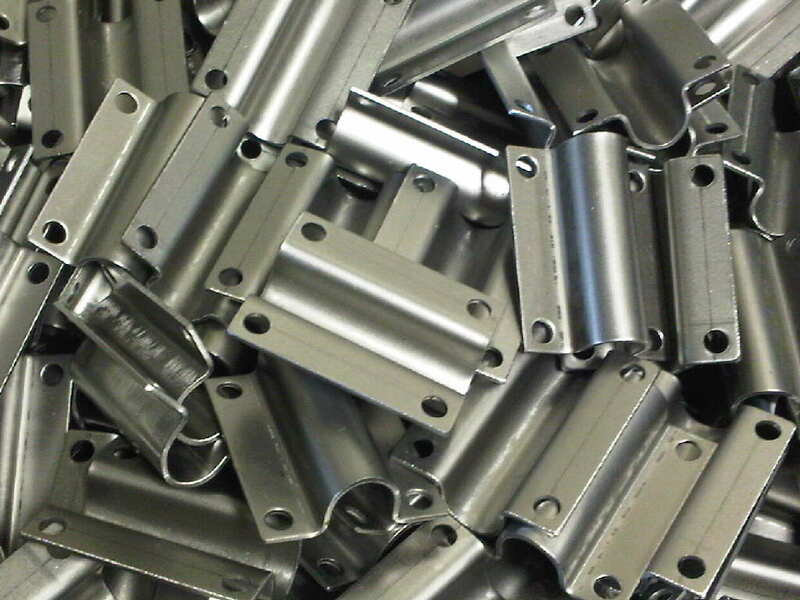 Whatever your requirements might be we are here to help you achieve your production goals. 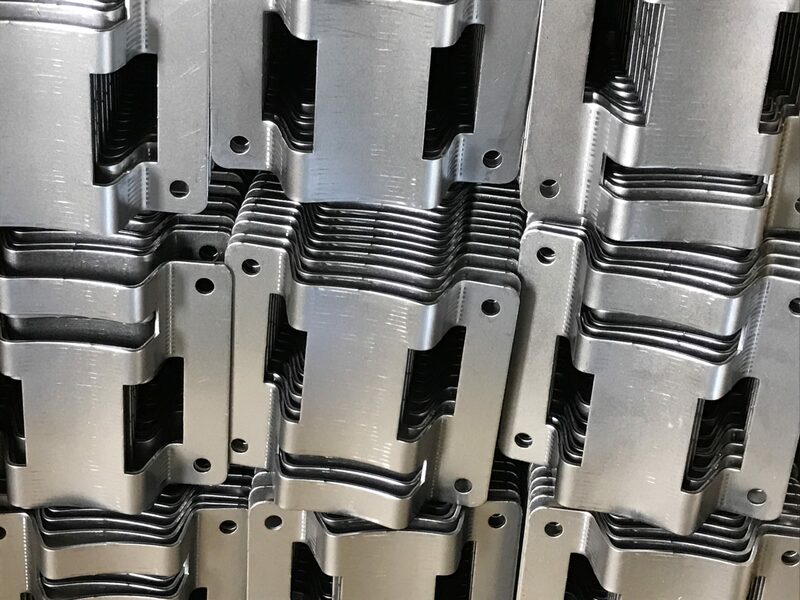 The mild steel brackets that you can see here have been CNC punched out, had their edges de-burred and then formed up with customer made fly-press tooling to produce the curved clamping section in the middle of the bracket. 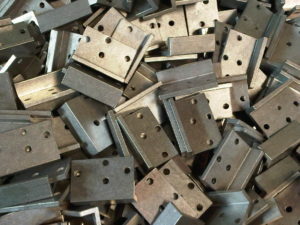 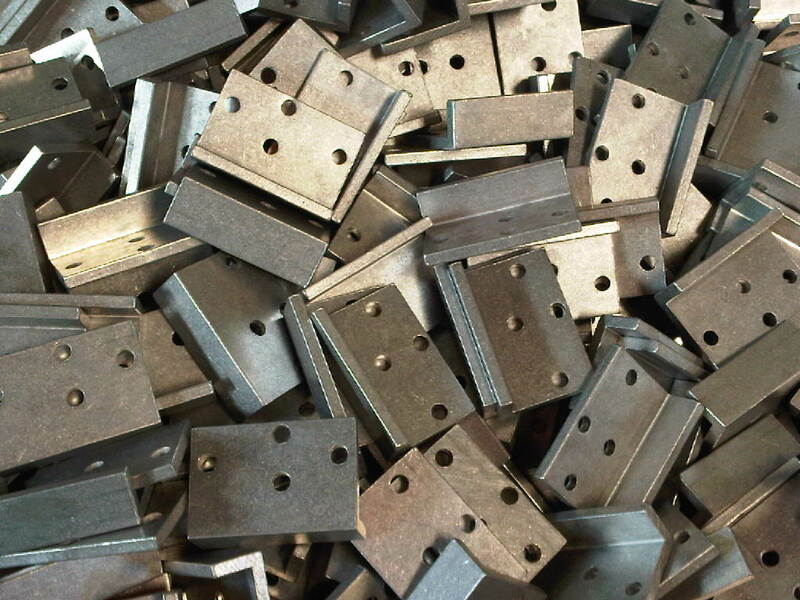 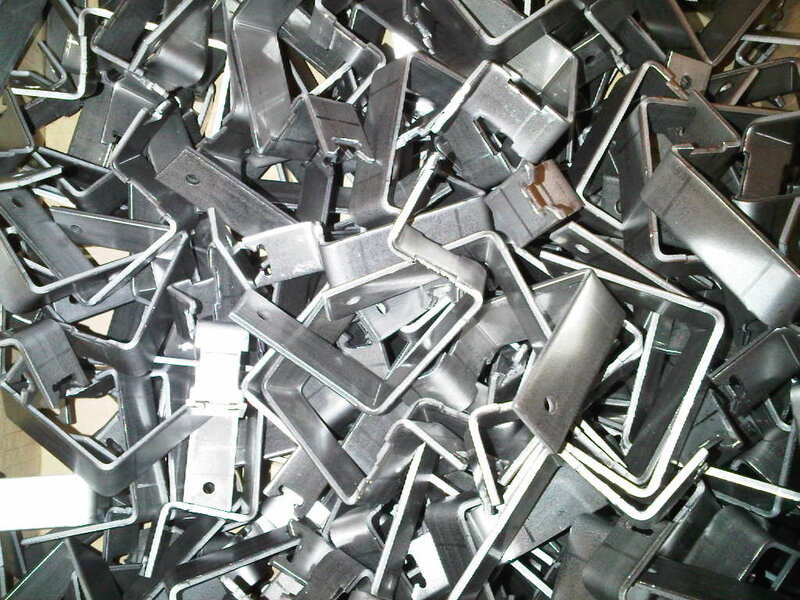 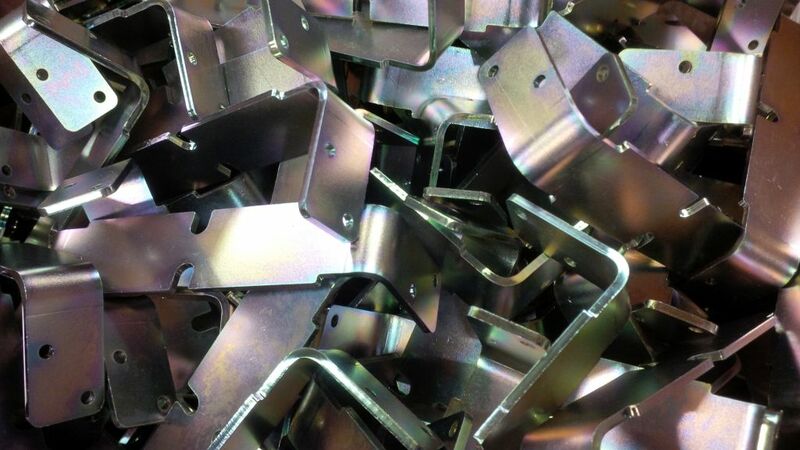 These sheet metal brackets have been manufactured from mild steel sheet by CNC punching. 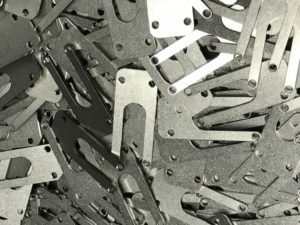 They could just as well have been laser cut and the bracket blanks would have been exactly the same size. 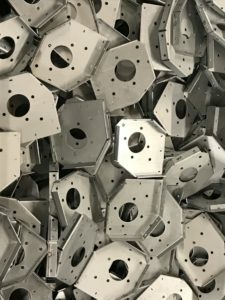 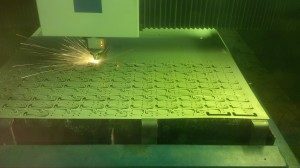 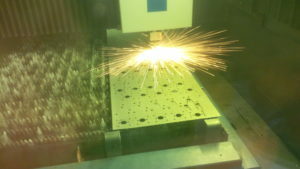 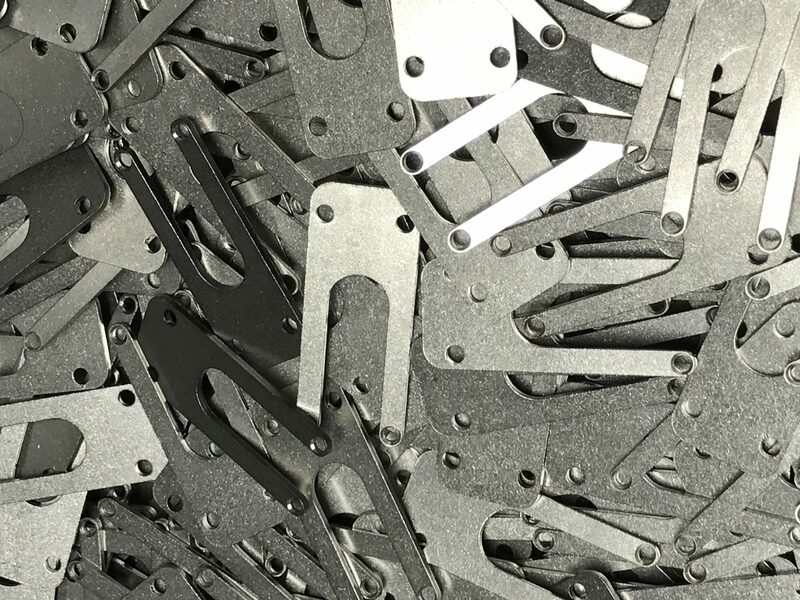 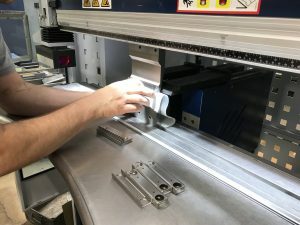 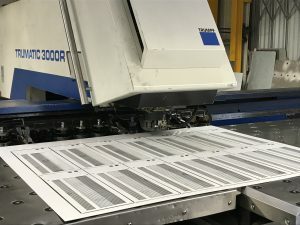 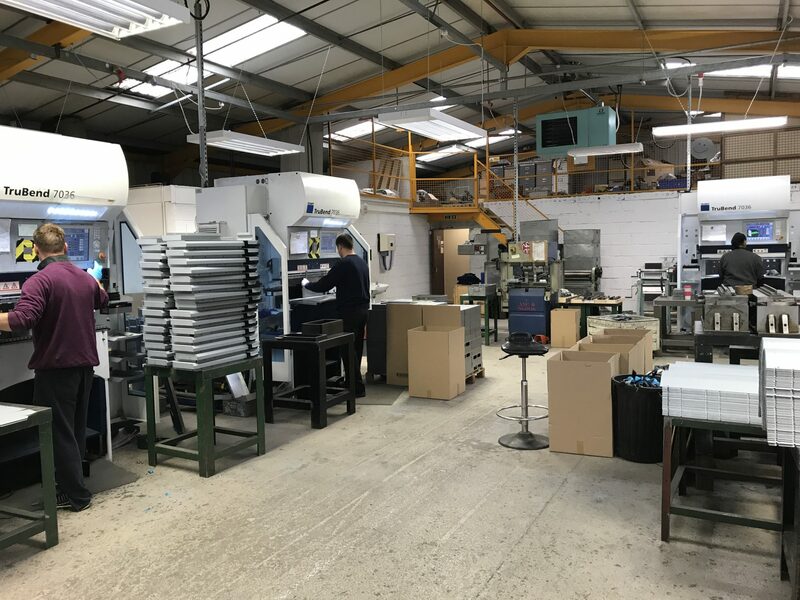 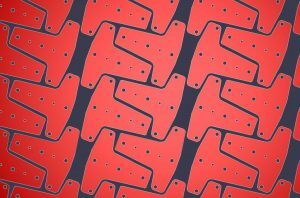 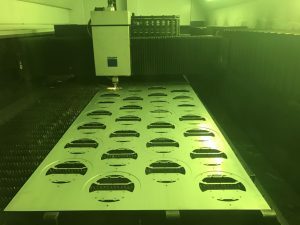 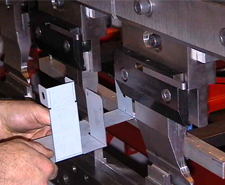 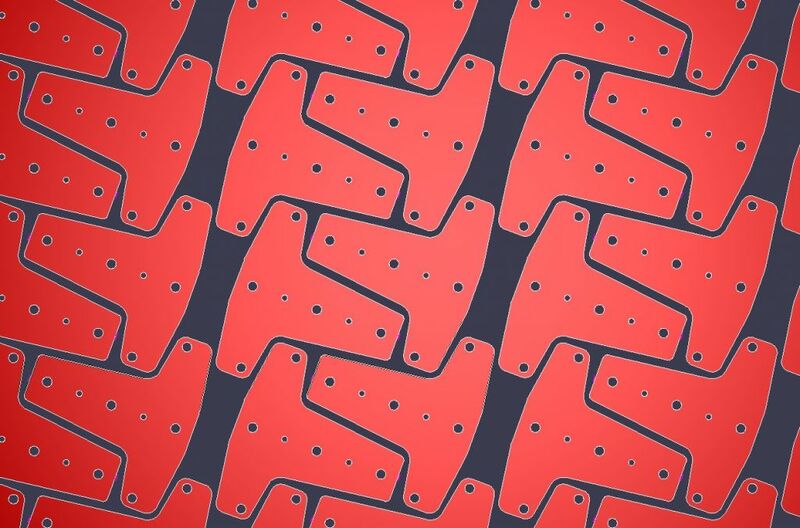 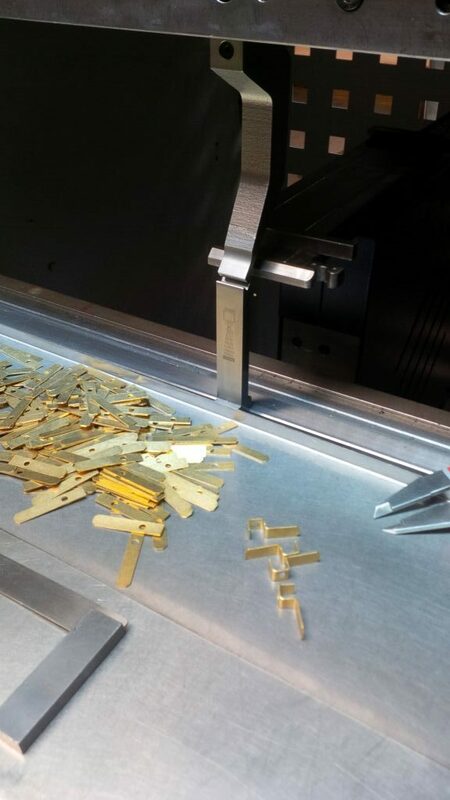 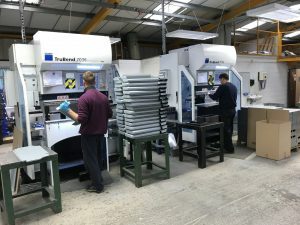 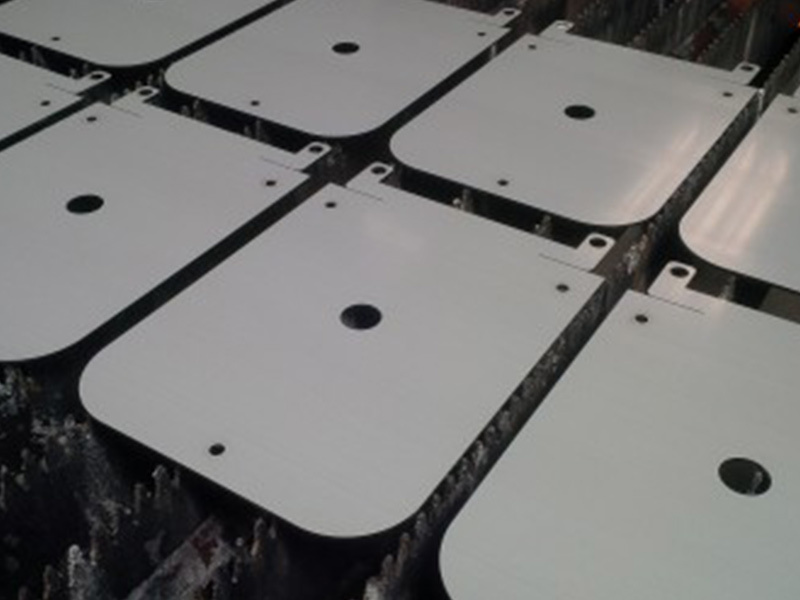 Having both CNC punching and CNC laser cutting machines right next to each other within our sheet metal work facility enables us to pick the right manufacturing process for your bespoke sheet metal brackets. 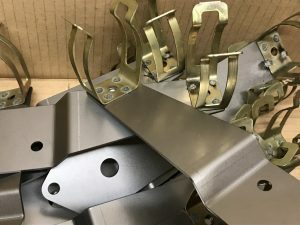 Sheet metal brackets made to your own bespoke designs are just what we specialise in and can produce your bracket with the right manufacturing method regardless of the material, thickness or complexity. 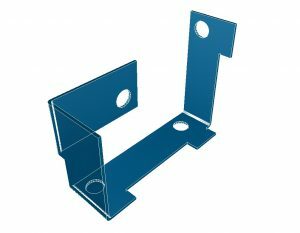 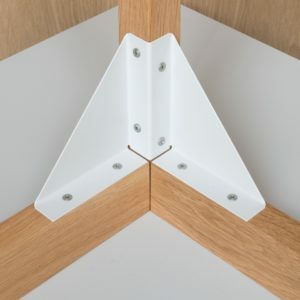 These angle brackets differ from the other two angle brackets already discussed in that they have been manufactured from angle extrusion. 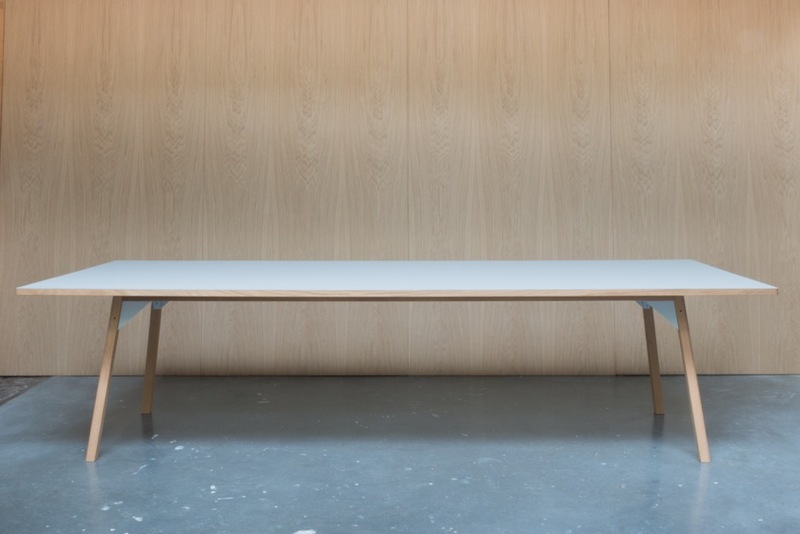 Rather than CNC punching or CNC laser cutting flat sheets of metal and then folding the brackets these have been sawn off from a standard angle section. 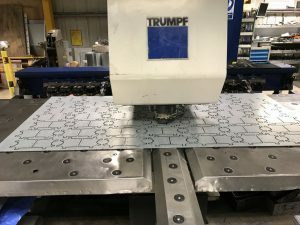 Once the bespoke bracket was sawn to length it had its holes pierced in position using punch and dies on one of our fly presses. 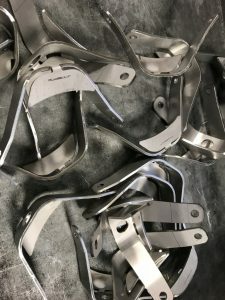 The final manufacturing operation was to barrel the metal brackets to take off any sharp edges left from the sawing and piercing operations. 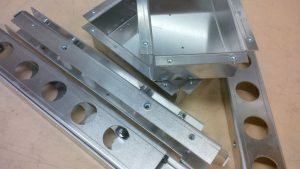 So you can see that if you want sheet metal brackets made to your own bespoke designs we are the people who can help you. 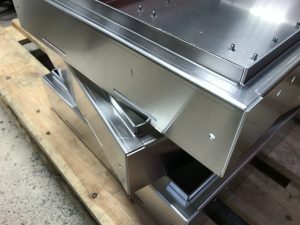 All you have to do is give us a call on 01489 577786 and we will be happy to discuss your ideas for your own bespoke bracket. 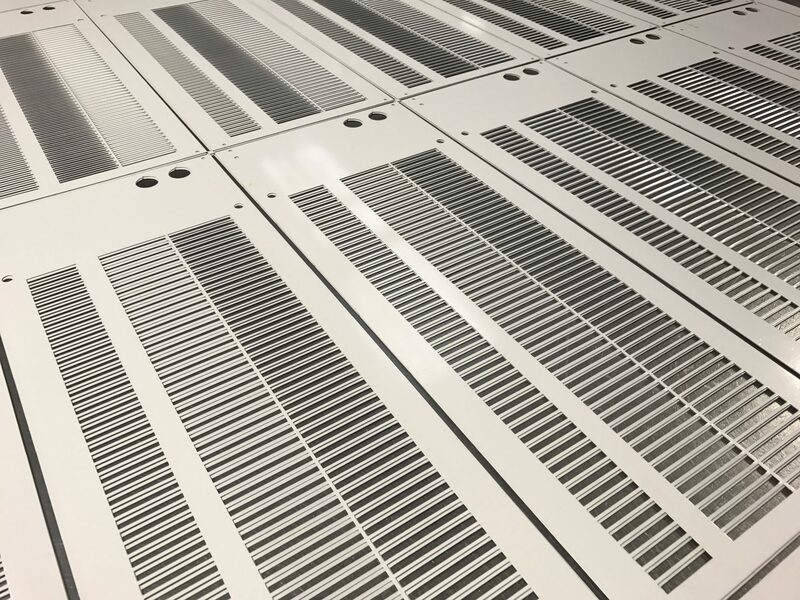 If you already have drawings then that’s great, you can send them to sales@vandf.co.uk as DXF, DWG, SAT, STEP or PDF format and we will be happy to take a look and sort out some prices for you. 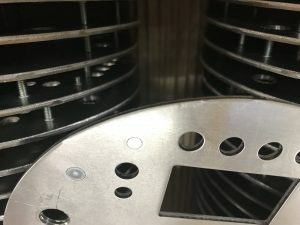 Either way we are here ready to help you. 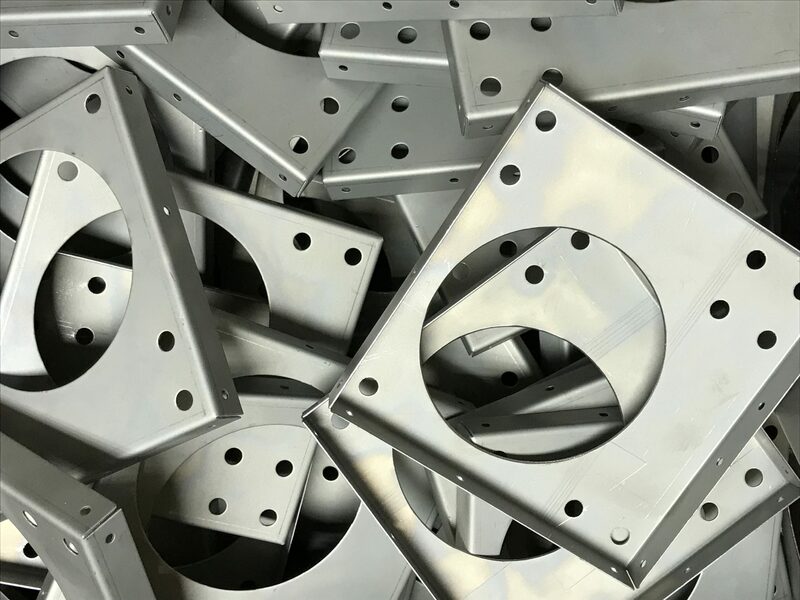 If you are a company based in the Eastleigh area of Hampshire or further afield you should be contacting V and F Sheet Metal as your sheet metal supplier. 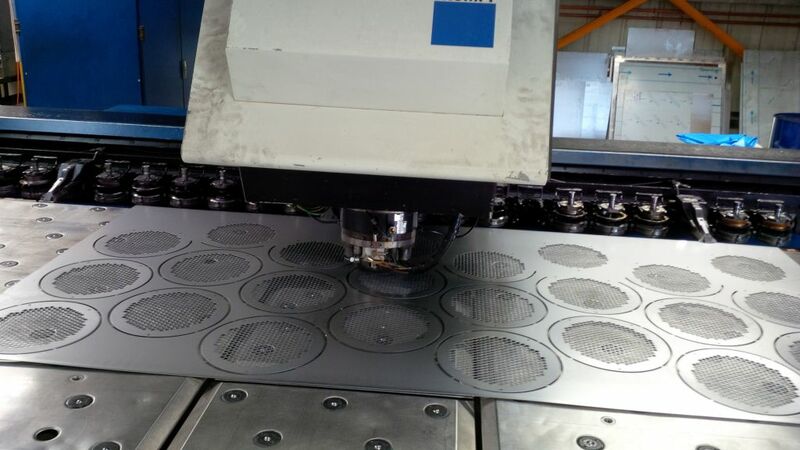 For your welding, CNC punching, CNC bending and laser cutting needs give us a try. 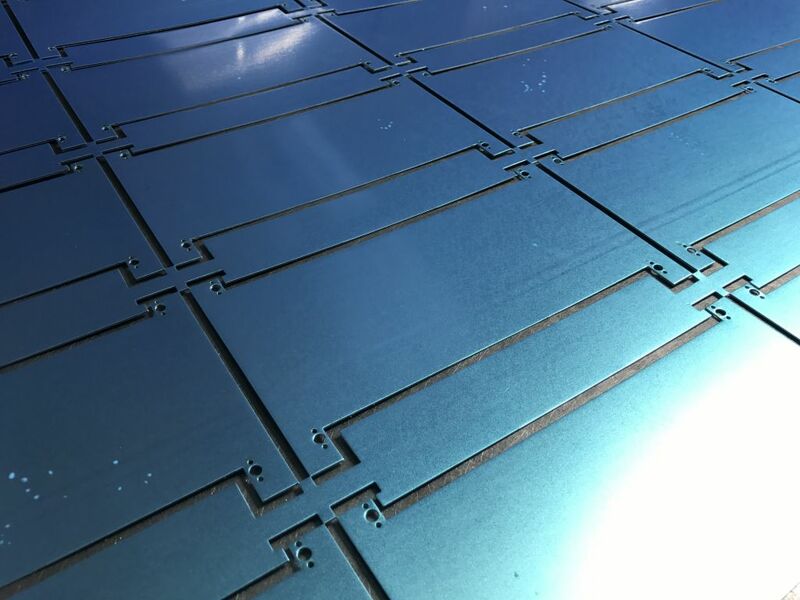 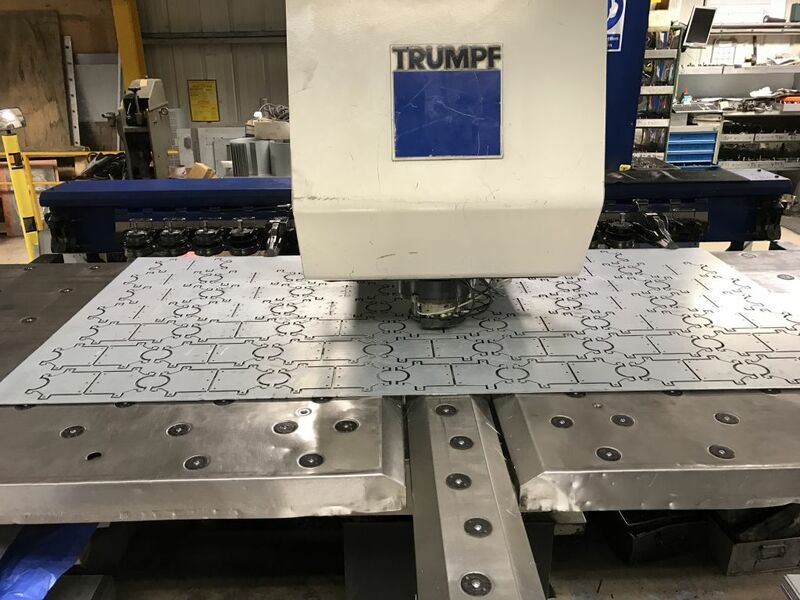 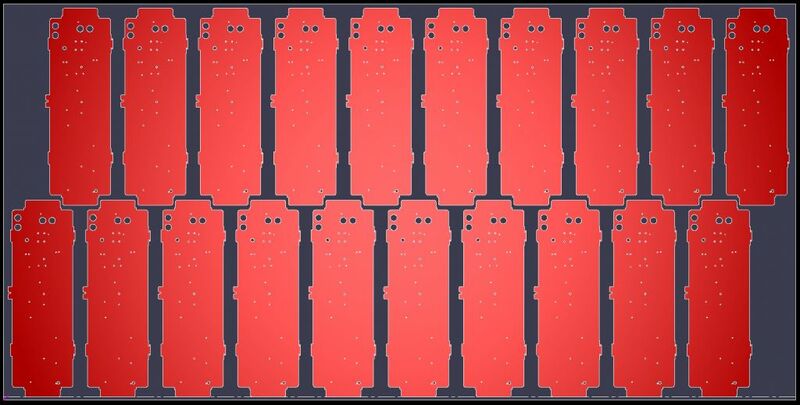 With our Trumpf fibre laser cutting machine we can laser cut your ferrous and non-ferrous sheet metal work as well as copper and brass sheet up to 6mm thick. 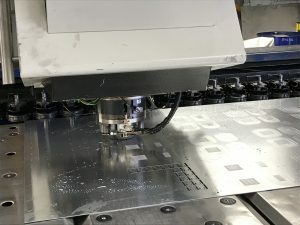 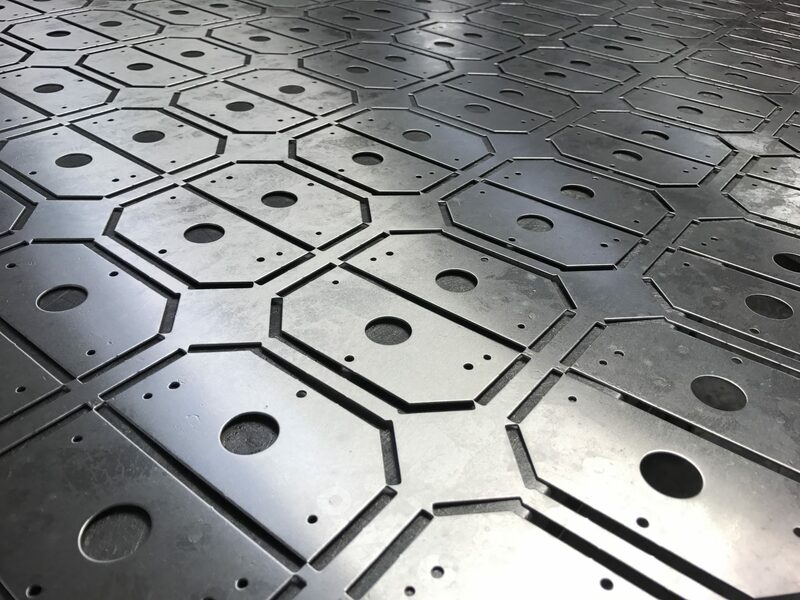 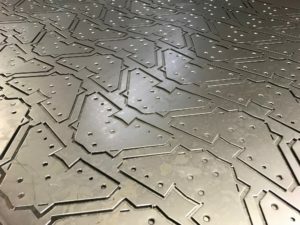 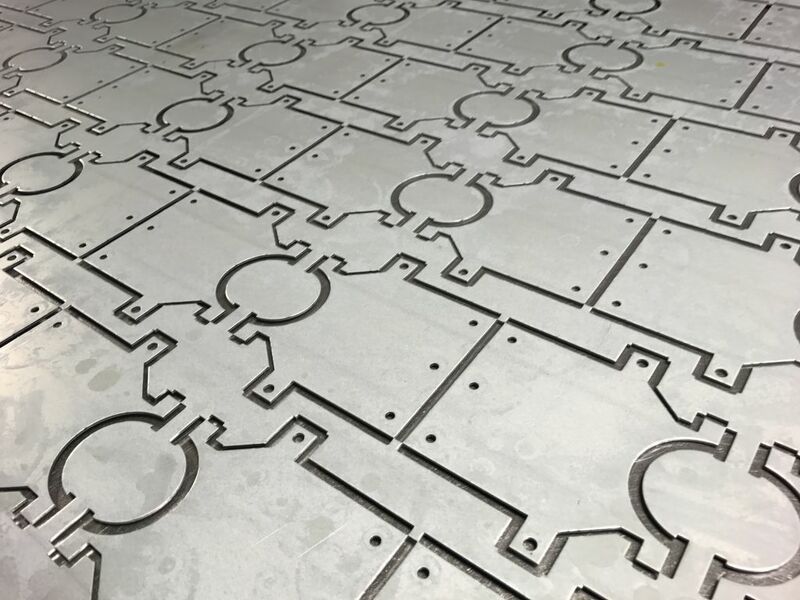 As well as providing laser cut components and assemblies we can CNC punch sheet metal work using a wide range of standard CNC punch tooling before it’s folded up and welded where needed. Through our extensive network of sub-contract suppliers we can have your parts painted, powder coated, zinc plated, silk screened etc to your specification reducing the need for secondary purchase orders. Looking to change your sheet metal supplier for your next sheet metal project? 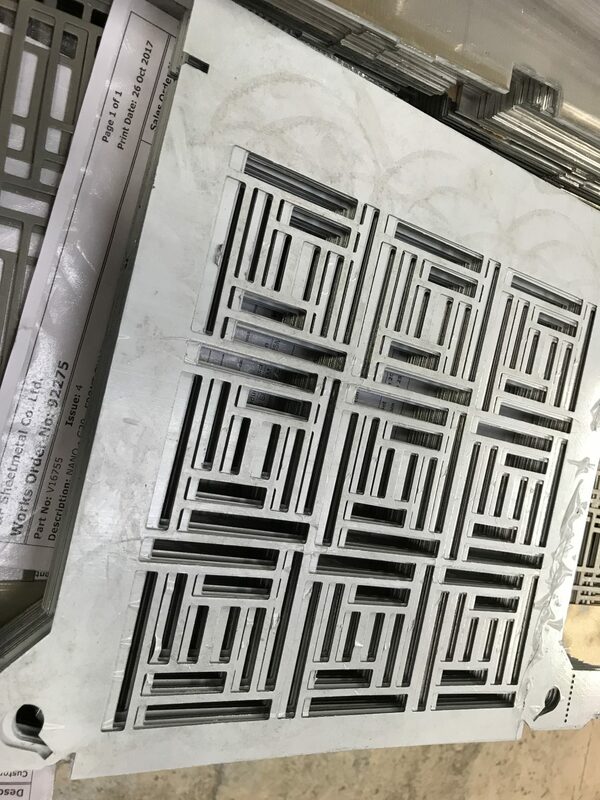 We are happy to review your existing designs and provide you with pricing options and design advice to help reduce your purchasing costs. 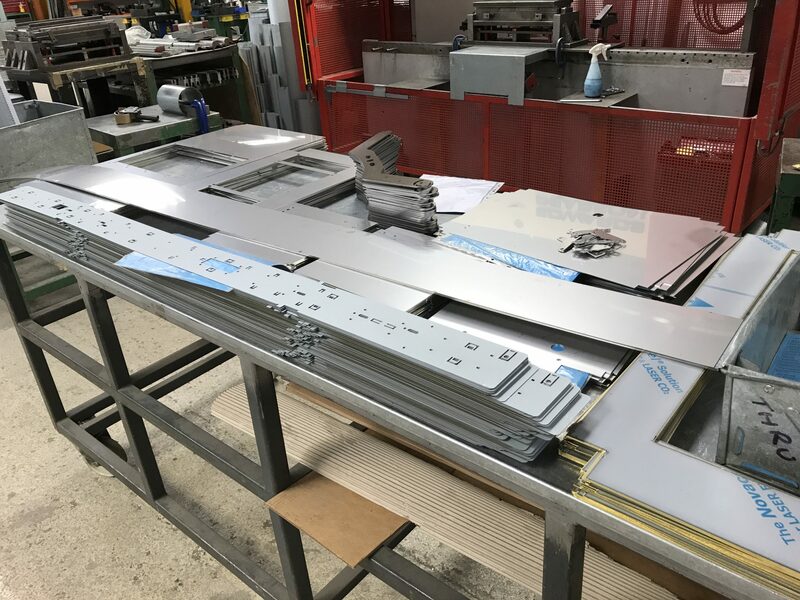 To talk to our engineering team please call 01489 577786 or simple send us your drawings to sales@vandf.co.uk and we will get started for you. 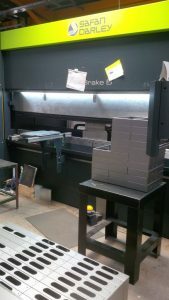 From our 13,000 sq.ft. manufacturing factory in Fareham, Hampshire we are in easy reach of Andover for daily deliveries of welded sheet metal projects if needed. 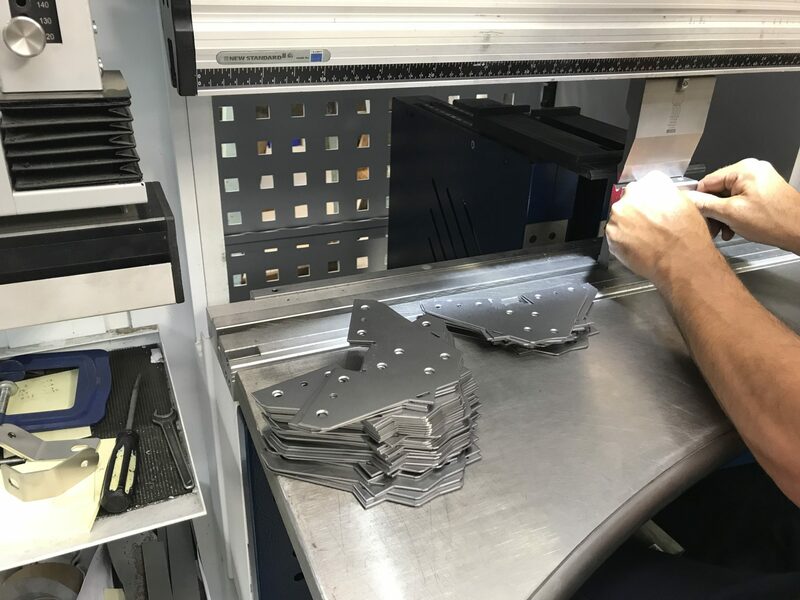 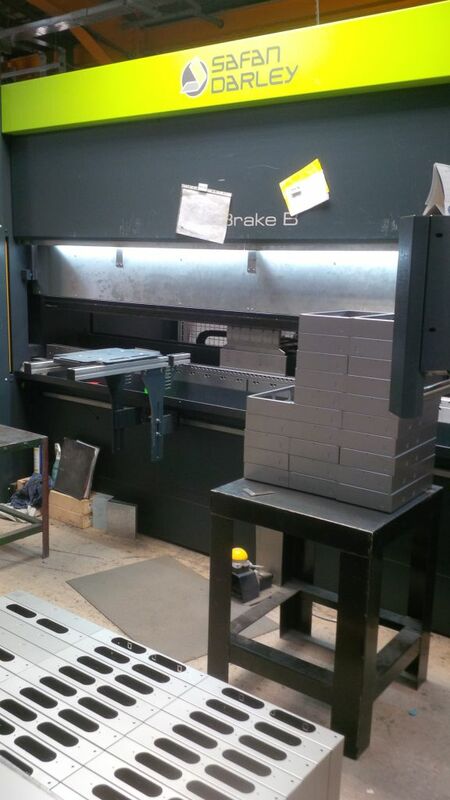 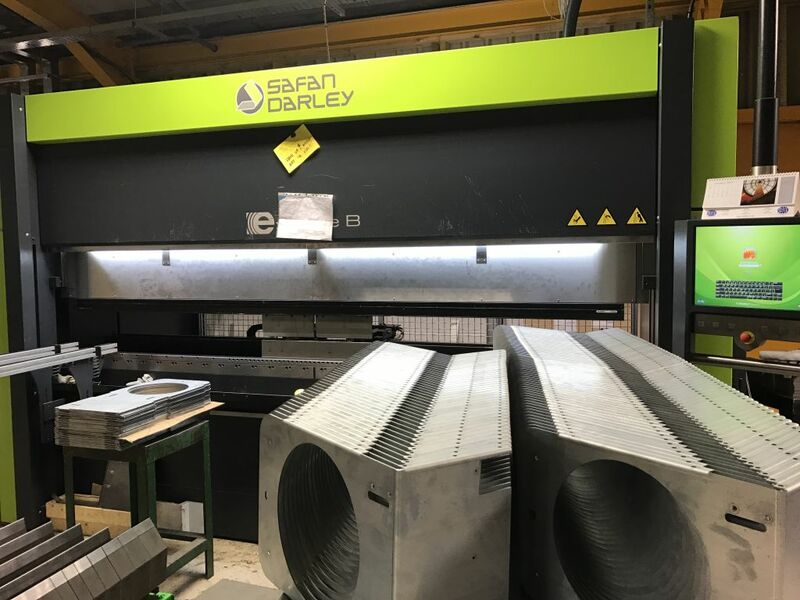 We have been manufacturing sheet metal projects for over 30 years and have a wealth of experience when it comes to manufacturing using the latest sheet metal working equipment. So if it’s mild steel, stainless steel of aluminium welding fabrications you are looking for we have the equipment and techniques to help realise your sheet metal projects. These mild steel oil tanks shown here have been fully seam welded up all the corners and then leak tested before being powder coated. 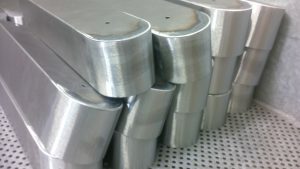 They are used as oil pump reservoir tanks in hydraulic systems. 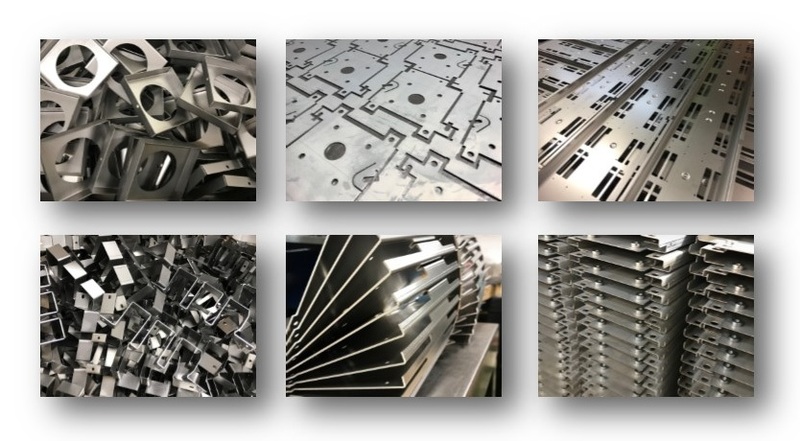 If you are looking for a sub-contract sheet metal working company who can laser cut or CNC punch stainless steel components, CNC bend then up to 3M long to tight tolerances and then weld to make fabrications please contact V and F Sheet Metal. 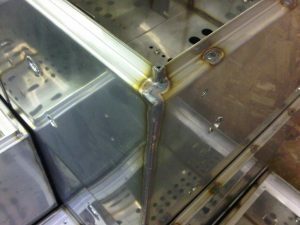 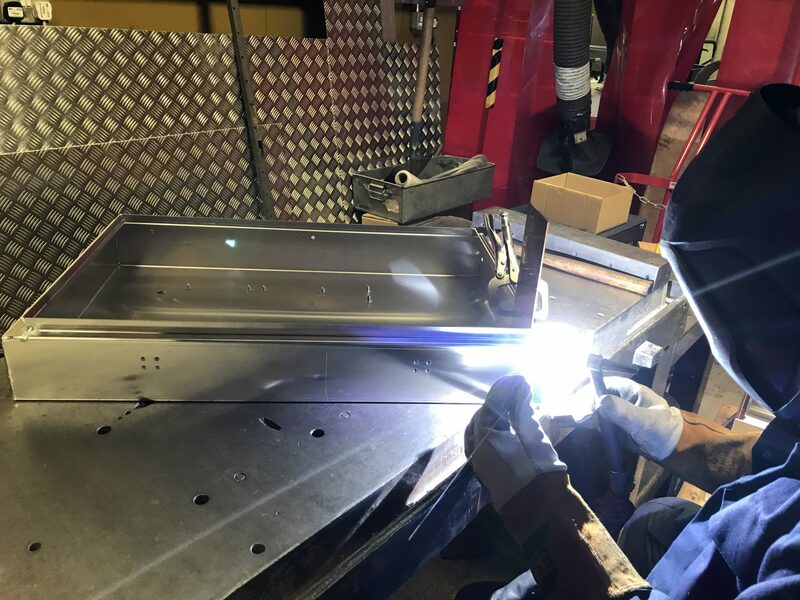 Whether it is simple stainless steel brackets with Tig welded joints, stainless steel housings with seam welded corners or stainless steel assemblies with a series of fabricated joints and sections we can help you out. These stainless steel housings are completely welded up so that they are water tight when used outside to control pumping systems. 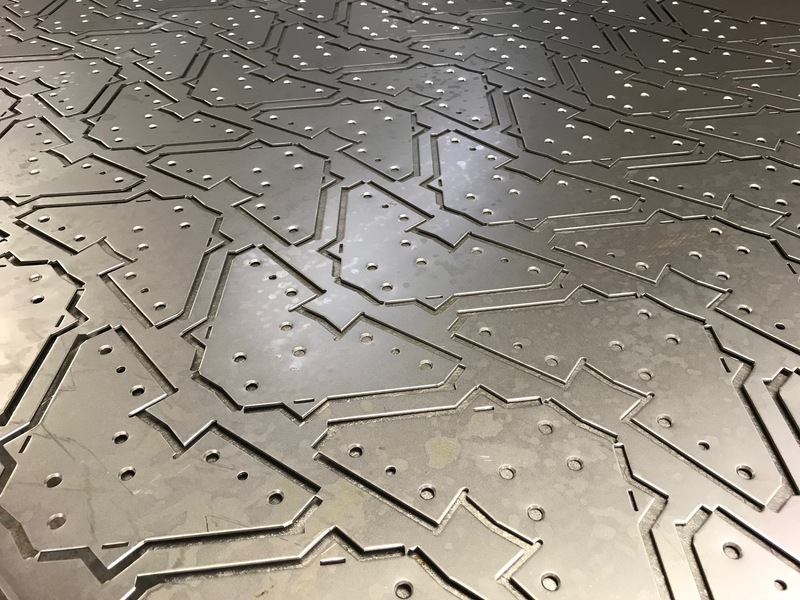 Laser cut for close cut accuracy, the parts all fit together as a set before welding to make production quick and easy, helping to keep your costs down and at the same time improving the finished part quality. 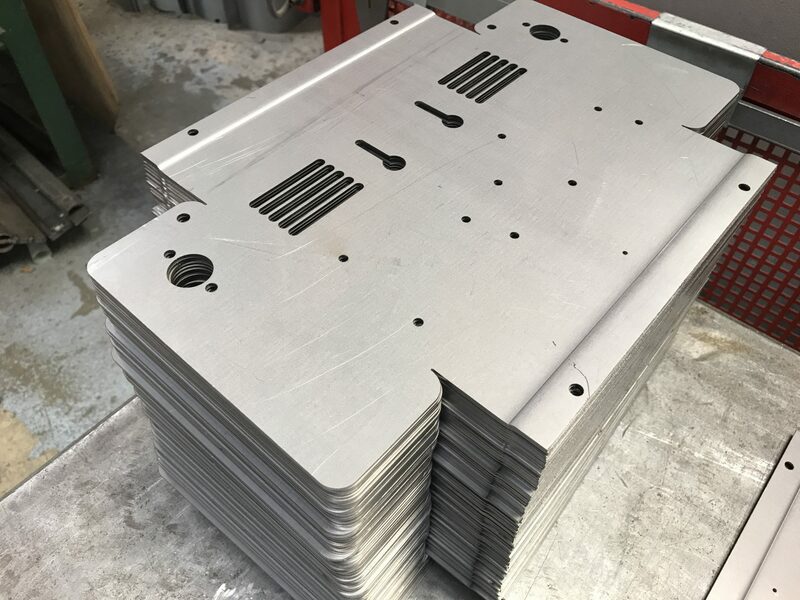 For more information on sheet metal work production please give us a call on 01489 577786 and we will be happy to chat through your sheet metal work project ideas. From our base in Fareham, Hampshire we supply sheet metal work right across Hampshire and the UK. 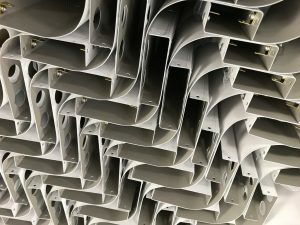 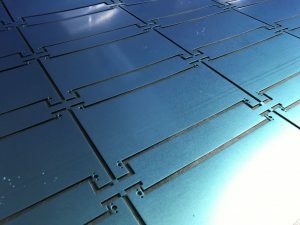 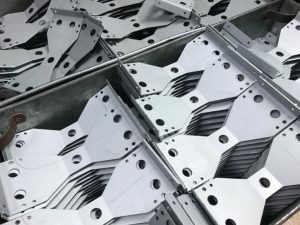 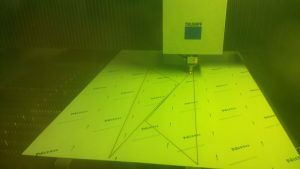 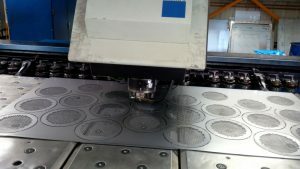 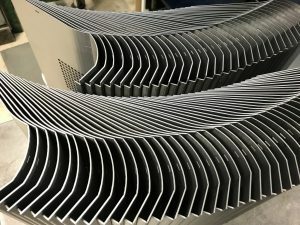 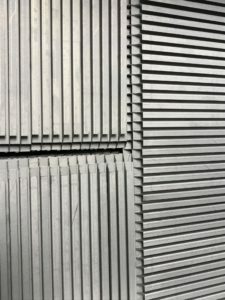 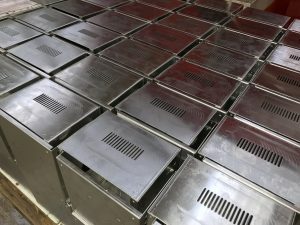 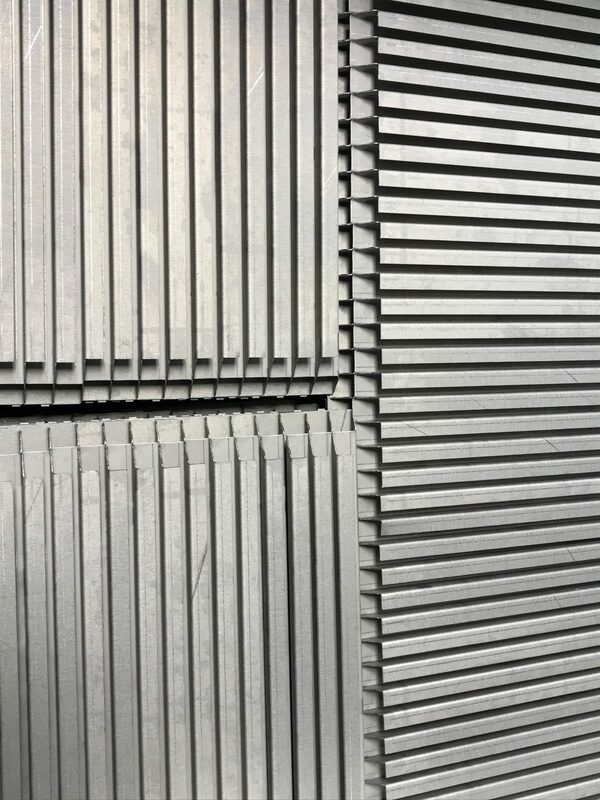 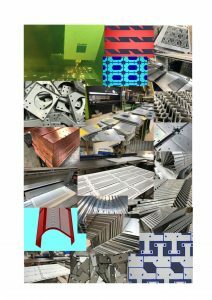 We manufacture a wide range of sub-contract sheet metal products for our customers using laser cutting, CNC punching, CNC bending and welding fabrication techniques. 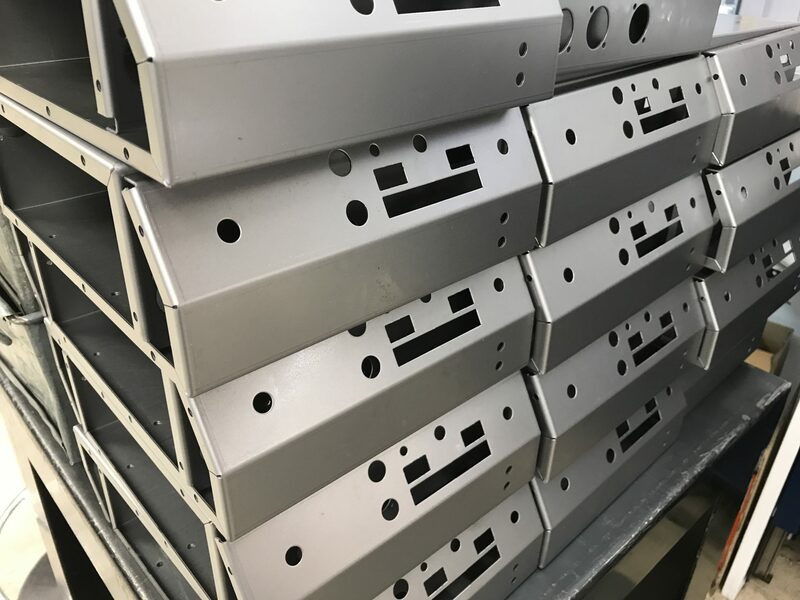 If you are looking for mild steel housings such as these, stainless steel brackets, aluminium front panels and heat sinks, zintec boxes, galvanised steel mounting plates etc. we can provide you with the perfect service. 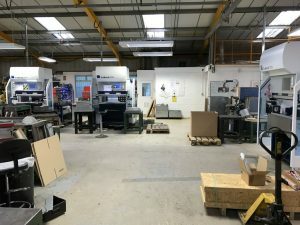 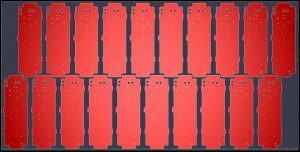 We will take your designs and produce you a range of prices options and advise you on your designs where necessary to help you reduce costs in manufacturing. With the latest CNC driven manufacturing equipment and sheet metal CAD/CAM software we can manufacture small batches of parts very efficiently enabling you to enjoy low prices and at the same time maintain low stock levels. These mild steel boxes have been CNC punched and CNC bent up using Trumpf sheet metal manufacturing equipment for a great quality job. If you are looking for a sheet metal working company in the Alton area of Hampshire or further afield please give us a call. 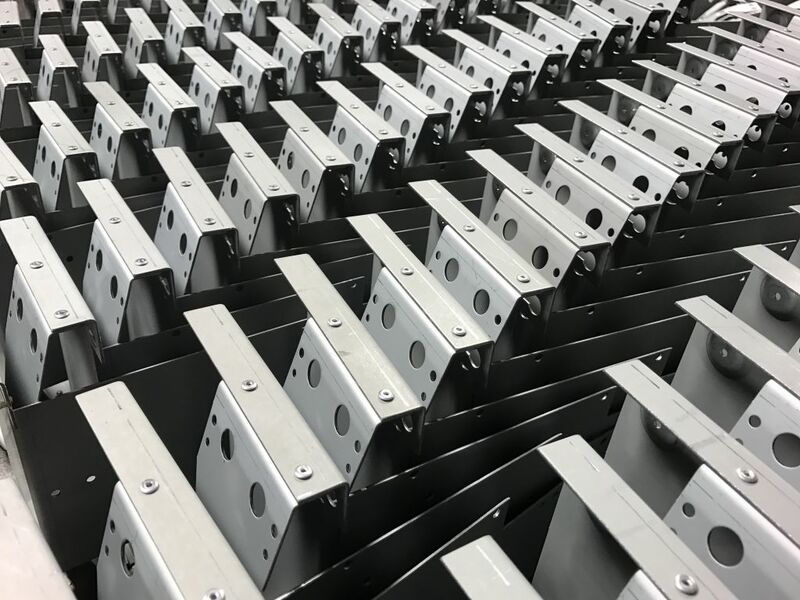 If you are looking to gain an advantage with your sheet metal purchasing please give V and F Sheet Metal a call on 01489 577786 or send us your drawings to sales@vandf.co.uk and we will be happy to help you.